As Partner, Show Director and Executive VP of Art Miami, Nick Korniloff oversees the management and creative direction for Art Miami, CONTEXT, Aqua Art Miami, Art Wynwood, Art New York and CONTEXT NY and Palm Beach Modern + Contemporary. Korniloff has over two decades of experience in art fair management and production. His continued commitment to create new opportunities for the international art community through the development of new art fairs and collaborative partnerships has attracted some of the most prestigious galleries both in the contemporary and classical markets. He is known as a leader in the industry and has been touted as an expert in connecting dealers with new and affluent international collectors. Art & Auction Magazine acknowledged Korniloff’s work in repositioning Art Miami in its Power List. This year, Art Miami’s sister fair CONTEXT Art Miami will present over 100 contemporary galleries featuring one-of-a-kind talent from emerging and established galleries including ANNA ZORINA GALLERY, Corey Helford Gallery and 11.12 Gallery. “Everyone in the art world descends on Miami for this important cultural event. 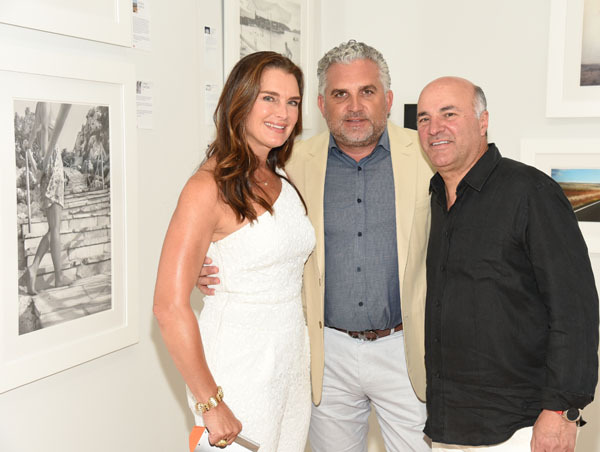 This is the bellwether for the art fair market in America, and it only gets stronger,” said Nick Korniloff, director of Art Miami, which is the city’s original and longest running contemporary and modern art fair. Art Miami, along with its sister fair, CONTEXT is set to debut it’s new waterfront location on Biscayne Bay for it’s 28th installment and will kick off Miami Art Week; starting on December 5th with a VIP preview before opening to the public on December 6th through the 10th. This year’s preview will benefit the Perez Art Museum Miami (PAMM) for the sixth consecutive year. Art Miami has already donated more than $150,000 to further the museum’s collection and mission. The event will be sponsored by Christie’s Real Estate. As always, Art Miami will showcase an array of iconic and exemplary works, dynamic projects and special installations and this year will present work from more than 140 international galleries from over 22 countries.